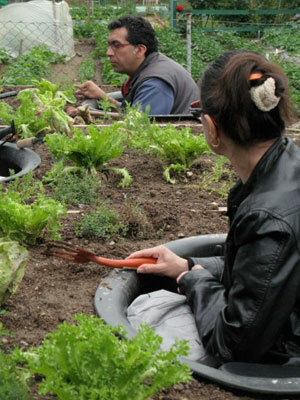 Backyard, community, and therapeutic gardens are becoming increasingly popular, but not everyone gets to participate in the very social act of gardening. Older people or those with back problems have trouble bending over. That’s been solved with raised beds. Still, many older people or disabled gardeners have been left out. 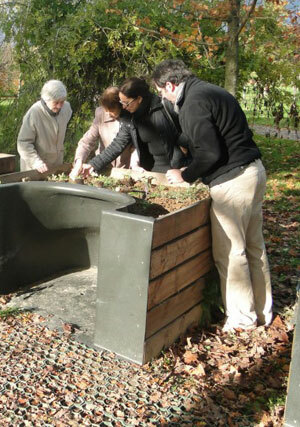 A new collaborative garden project from France tries to remedy this. 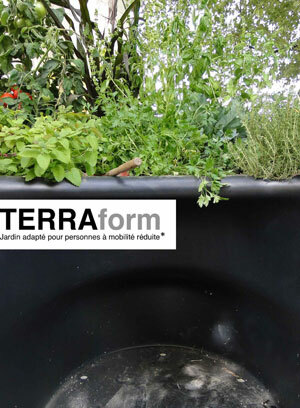 La Valise and the Mauves Allotment Society have created Terraform, a raised garden plot for wheelchair users. The approach allows wheelchair users easy access. 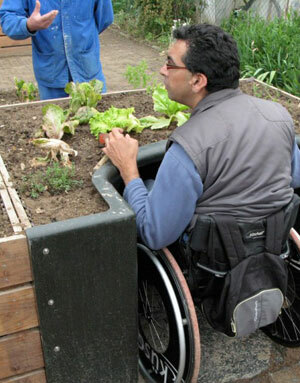 An ingenious “arched pod” offers a greater degree of comfort, enabling wheelchair-bound gardeners to seed and bed at table level. The safe, UV-treated, recycled polyethylene pod is sculpted to fit around the wheelchair base. The team says the pod’s dimensions were carefully calculated to enable normal arm extension, preventing any repetitive stress injuries. Apparently, more features are in the works, including cabinets for tools, ergonomic accessories, and an integrated drip irrigation system. 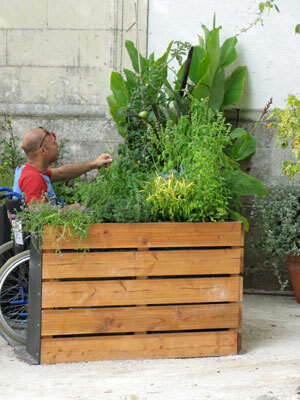 In France, the team has promoted these as “healing gardens” for use in retirement communities, hospitals, and community gardens. A pilot launched in Nantes in 2010 was the first go at expanding the service there, and now some 100 kits have been installed across the country. Given the project is still experimental, there’s no word yet on when this will be commercially available in the U.S. Learn more about Terraform and see a brief slideshow of people using it. Very cool, my uncle was a parapalegic, from the waist down as a result of polio as a child. He did everything, gardened from his wheelchair. I think he would’ve appreciated this late in his life when his shoulders started giving out from overuse. I can also see these designs gaining popularity in urban agriculture centers, where community gardening is emphasized and encouraged. where can i order one and how much do they cost? i help run a community farm where we grow veggies for food pantries. A year ago my 20 yr old son was in an accident leaving him a quad from the neck down. I have thought for awhile now that it would be cool to have a section of the farm wheel chair accessible and calling it Chris’ corner in his honor and this would be an amazing way to start it. Fantastic design and I look forward to learning when they will be commercially available in the US. My only suggestion for consideration is that the approach to the cutout area should be accessible – grass may not always be the best option. Lose the wording ‘wheelchair bound’ and I may LIKE this! Would someone please comment on current pricing and availability in the US? thanks! !